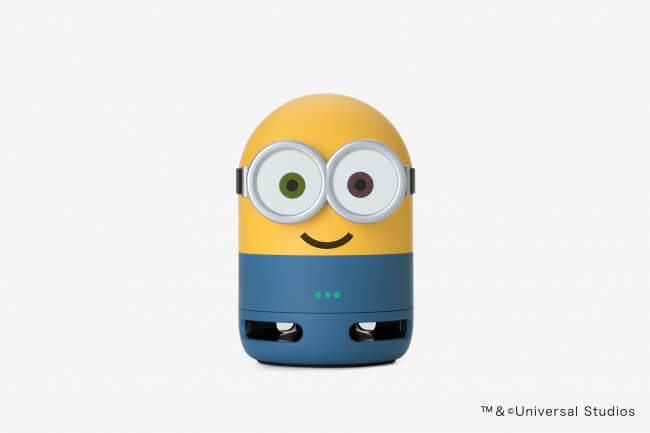 LINE have released two new Minion models in their Clova Friends smart speaker range on August 21: “Clova Friends (MINIONS Kevin” and “Clova Friends mini (MINIONS Bob). They also released the Clova Friends Dock which comes with a remote control and is compatible with both Clova Friends and Clova Friends mini. 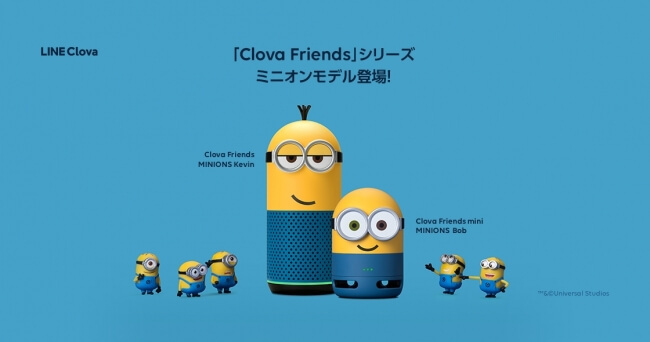 Clova Friends is a series of cute smart speakers modelled on popular characters such as those in the LINE FRIENDS gang like Brown the bear and Sally the chick. The speakers are equipped with the AI assistant Clova which, similar to the Amazon Echo, is voice controlled and can update you not only on the news and weather but can play music and tell you fortunes too. They have been on sale since December last year and make it feel as if you’re really talking to the characters. They can be enjoyed together with friends and family too. The newest entry to the character range include the popular Minions from the hit animated movie franchise Despicable Me. The two types include the taller Clova Friends Kevin and the shorter Clova Friends mini Bob who has two different eye colours. 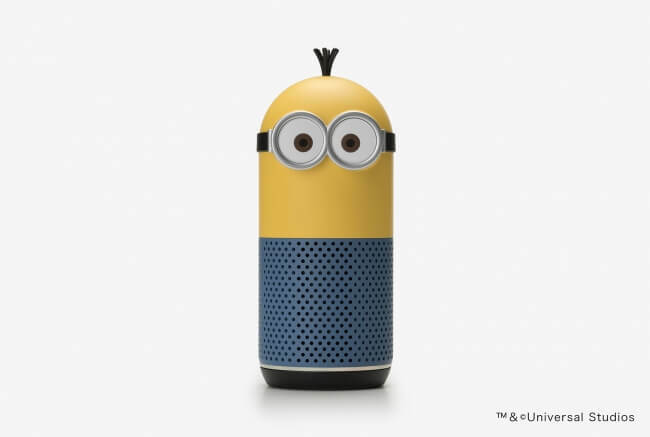 You can converse with the Minions using their language with words like “Banana” and “Bello.” You can also say things to them in Japanese like kawaii ne (“Aren’t you cute?”), suki da yo (“I like you”) and tsukareta (“I’m tired”) and they will give a wide range of different reactions. You can also make requests like asking them to do a sum or sing a song. The models are also customizable and come with different stickers to change their facial expressions. The Clova Friends Dock was also released alongside the two models which is compatible with your TV, house lights and air conditioning. Make your life easier by simply giviving a command like “Hey, Clover, turn off the TV” (Nee Clova, terebi o keshite). There are also future plans to increase the number of compatible electronic devices. *The “Clova Friends (MINIONS Kevin)” and “Clova Friends Dock” set is available on the LINE Clova official website or Rakuen Books only. Get ready for the first ever Minion-themed Kamaboko ー so delicious and healthy!